This is a delicious green bean side dish or you may call them string beans. 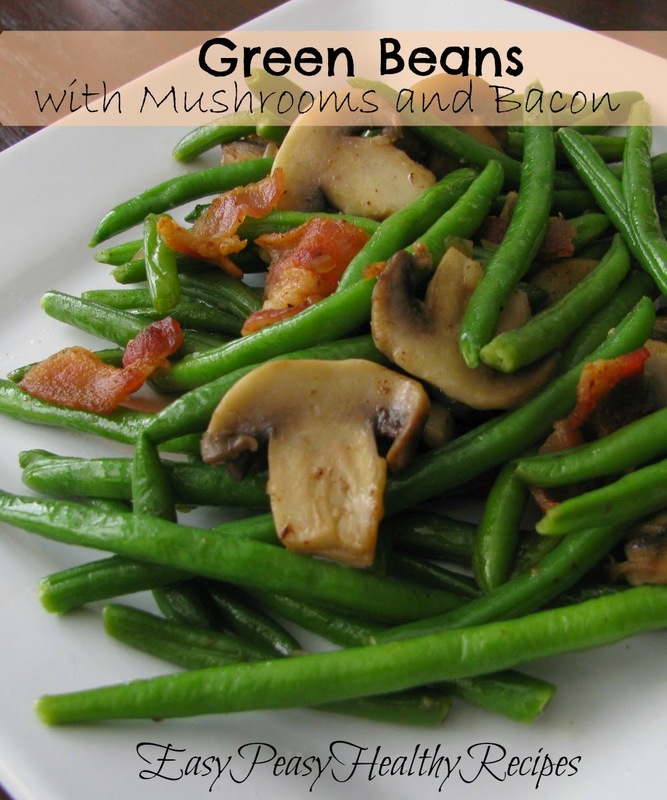 This dish can be made with either fresh or frozen green beans. The mushrooms and bacon really jazz up this side dish and make it very tasty. Green beans are a fat-free and a low calorie vegetable that are also a good source of vitamin A which is good for your eyes. They are also high in vitamin K that is important for strong bones. Green beans are also a good source of vitamin C and fiber. This recipe could also easily be made vegetarian by leaving out the bacon. Hope you enjoy this delicious and healthy recipe! 1. Melt butter in a skillet over medium heat; cook and stir mushrooms, onion, and garlic until mushrooms are slightly tender, about 5 minutes. Stir bacon, lemon pepper, and seasoned salt into onion mixture; cook until mushrooms are tender, 5 to 10 more minutes. 2. Stir green beans into mushroom mixture; cook, stirring occasionally, until green beans are softened and cooked through, 5 to 10 minutes.